Jagruti's Cooking Odyssey: Spinach and dryfruit puffs and Awards!! As you all know by now that my daughter does Food tech in her school, well not only her but my son does it too....I'm very happy that they both have been pushed into take interest in food science and nutrition lessons....me and my husband were worried that now days kids can give you a long debate on tech gadgets like iphones and latest games or even talks about Porsche and Ferrari...gosh I never thought about even coming to London! !lol...but, when you ask them about their meal..some of the kids can't think where is it coming from or how to pronounce some of the ingredients...heard many people saying their kids doesn't know, Spinach or Sarso saag..they call it Henna curry!! would you belive that...all our life we work like machine, pushing kids to achiving lots of successes for "Do Vakt ki Roti", and your kids doesn't know How did that roti come on their table? Heat oil in a heavy bottom pan and spulter mustard and carom seeds, add moon daal, spinach, peas, sweet corn and kasoori methi, let it cook on a very low heat till everything is tender. If you need just sprinkle little water to keep cooking. Now add all the other ingredients and mix really well. Let it further cook about 4-5 minutes. If you want you can mash it with potato masher. Switch of the heat and let it cool. Cut the puff pastry into small squares or tringles(whatever shape you are fancy) and fill with the Spinach and dryfruit filling. Bake them in the pre heated oven untill lightly brown. Serve with your faviorte dips or great with tea or coffee. Sending this recipe to Think Spice-Think Amchoor event hosted by Bhagyashri started By Sunita. Also to Healing food-Spinach event hosted by Divya, started by Siri. Also very sweet gift from Nayna of Simply.food....who also never misses to visit me and leaving sweet comments on my blog ,sharing a Bloggar friend loyalty award....thanks a ton Nayna... so sweet of you !! The kids look so cute...cutie pies indeed :) I was laughing at the word "henna curry". The puffs look great...love the healthy filling! You have got lovely cute kids! Love the yummy puffs! lol, henna curry!! I am sure though your kids will turn out to be just as creative cooks as their Mom is. Puffed pastries look so delicious and yummy; I love the spinach filling. Liked ur healthy snack !!! You got two cuties!! !nice pic!!! Congrats on the award! I wish I could ahve learned stuff like that in school. The little puffs you made look delicious! Though the ingredients combo for the filling is not the usual kind, its healthy and sounds like a delicious combo. Nice to see ur kids. Enjoy your awards. What cute puffs! One, I want to eat the pastries and two, I wanna hug the cuties! The puff pastry sounds so good with the spinach & dried fruit filling, super delicious! 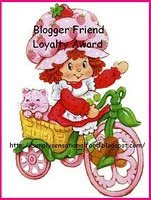 delicious puffs...an award awaits you dear..please collect it from my blog..congrats! compliments for all the joy you bring to your loved ones; Xo see you soon! Ur Puffs r Simply mouth watering...That too made from school made pastries..Lovely!! Hey jagruti, Congrats on those awards yummy healthy puffs!!! Cute pics of ur cuties!!!!! Your kids look so cute...its so funny my daughter is older and son is younger too! It is awesome that you have brought up your kids so well, dear...kids dont often take interest in cooking and food while in school...way to go, my friend!!! Congrats on your award and stuffing with spinach is a healthy good idea. Congrats on your awards and the puff pastry is looking good! I posted a similar recipe yesterday. Love those puffs!!! Very cute pics indeed... and enjoy your awards! My laptop died last weekend, using my son's today!! Got to fix it tonight. Love them, puffs always make everything a yummy snack. I make dessert too with those. Looks tasty. those puffs look so yummy..really tasty filling..
great thing to know that your kids are interested in cooking..really a nice and fun activity to indulge in.. congratulations on your awards and cute clicks. Your cutie pies are adorable.. Puffs look delicious with a yummy combo..
it's a nice thing that your kids learn about food! it's important for them to know what they eat and learn more about the tastes. they look lovely!!! the puffs with dry fruits look perfect and tasty !!! congratulations for the award , enjoy!!! Kids looks soo cute...puffs with spinach and dry fruits sounds truly delectable and healthy.. Puffs looks awesome..and your kids are cute too..
What a coincidence..I too bought puff pastry sheets this week to make something like this..Love it..
Nice to see ur sweets kiddies. Nice filling! I'll try soon. hey.thats lovely idea.. i usually use a poatato stuffing when using puff pastry.. have to try this..Your kidoss looks very much like you.. I particularly liked the henna curry thing.. Really thats funny!! That's an interesting combo, Jagruti..
Congrats on your awards !! Very Innovative recipe for the filling.Great to know your kids enjoy cooking.At least they will be self sufficient for when they go to uni.Congrats on the awards.Thanks for accepting mine. Congrats on your awards. Very deserving indeed. Cute kids. Will definitely remember the henna curry thing. Spinach and dry dfruits aretwo things i can't get my son Adit to eat.Also this reminds me that i have a pack of puff pastry sheets lying in my freezer. Will try it and let you know. Cute kids you have.lovely puffs.